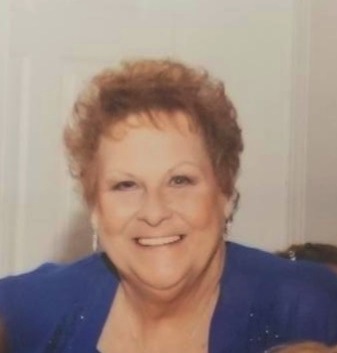 Obituary for Barbara E. Sirbaugh | Ambrose Funeral Home and Cremation Services, Inc.
Barbara E. Sirbaugh, age 71, joined her daughter Lorie Sirbaugh in Heaven on January 26, 2019. She is the beloved wife of 54 years to Calvin Ray Sirbaugh; cherished grandmother of Brittany Greaves and her husband Jimmy; caring sister of Jay F. Slater, the late June Virts, and the late Pete Slater; dear friend of 42 years to Joe and Sharon Sheldon; dear friend of Gene and Sharon Gendimenico. Barbara is also survived by many nieces, nephews, other family members and friends. A viewing will be held at Ambrose Funeral of Lansdowne 2719 Hammonds Ferry Road, Halethorpe, MD 21227 on Thursday and Friday from 3-5pm and 7-9pm. A funeral service will take place Saturday at 10am followed by interment at Glen Haven Memorial Park.